Unconventional Tips to Get Your Home Sold | Puck Realty, Inc. Putting your home on the market can cause a lot of stress and sometimes you can even lose money in the process. This is especially the case if your home stays for sale for a long period of time or you have to reduce the price. You may even have to carry two mortgages which can become very costly. Following these tips can help you sell your home as quick as possible. Getting help from your neighbors can be very beneficial because they may know someone whom they want to live near. 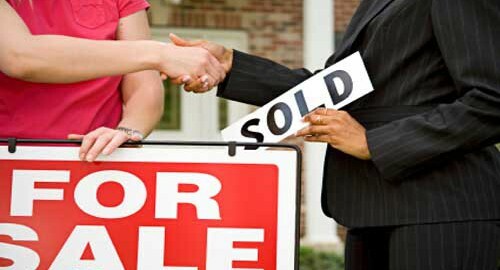 If your neighbors don’t like you they may be even more willing to help you sell your home fast! Consider offering a prize to whoever recommends someone and are able to close the deal. It is important that you let as many people as you can know about your property. One of the best ways to do this is through social media. Make a post with pictures of your home and descriptions and ask your friends to share it so even more people can see your home. You can even offer them the same incentive if someone closes. You may want to consider giving a little extra, like something new in the home or paying HOA fees for a year, to help entice people to buy your home. Most people love the smell of fresh baked cookies and even more when they are able to eat them. Put some cookies out and you may just win over those buyers. Leaving a few toys out that kids can play with while their parents tour the home can be helpful for the parents and also help them view their children playing in the home in the future. You may want to ask about the buyers who are touring your home. By understanding their likes and dislikes you can tailor your home a bit to their desires, like showing off your great wine storage for the wine drinkers out there. Writing a note to the buyers can make your home one that they will remember. Include your favorite restaurants and ice cream shops that are close by. Buyers will like to see how great your home is while they are touring it. Think about leaving a list of things they shouldn’t miss. You may want to consider giving the buyers a keychain or magnet after touring your home; this way they will be able to remember your home long after they leave. Before taking pictures of your home or allowing people to tour your home it is important that you declutter your home and stage it in a way that the buyers can visualize themselves living there. Pricing your home lower can mean that you could actually get more than the listing price by creating a bidding war. Instead of having the conventional open house host a gathering with food and drinks where people can tour your home at their convenience. They also might like to see how the home will look like when they throw their own parties. A loud barking dog can be a real turn off for people. If you have one close by, ask the owner if you could give him an extra bone to keep him occupied when there are people touring your home. Seeing bikes and strollers in driveways and on yards can be a very good sign to some buyers. This can mean that they are looking at a home which has kids in the neighborhood. If your potential buyers have kids consider asking some neighbors to leave these things out. Catching the eye of potential buyers is the most important thing when selling your home. You may need to do some extra work, offer a few extras, and enlist the help of your neighbors but a few good hours well spent can mean more money and selling your home faster.